I’ve put together 20 Brunch Ideas that would work perfect for any special occasion like Mother’s or Father’s Day, as well as an everyday pick me up. 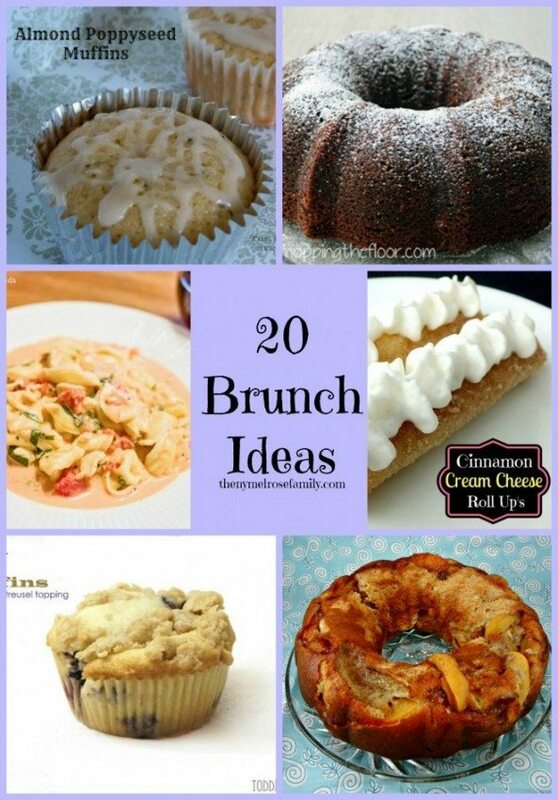 I just love brunch and these ideas from Whimsy Wednesdays are sure to hit the spot. So many wonderful idea Jenny! Thanks for sharing! YUM- Great choices Jenny. Now I am hungry. They sure do look delicious! Time to start pinning! This is a great round up! Brunch is popular in my house, so I’m always looking for new recipes! Thank you for sharing my Peach Coffee Cake! Great round up! I was just trying to figure what to make for Mother’s Day and now I have 20 great ideas. What a great round up of recipes! Thanks so much for sharing my pasta! Have a wonderful weekend! !